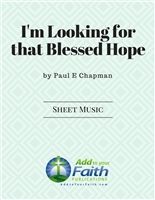 All Sheet Music offered at ADD TO YOUR FAITH is composed by sincere Christians who are members in good standing at Independent Baptist Churches. We believe that God gives the songs. The songwriter is simply the yielded vessel that our Lord uses to give the song to the world. 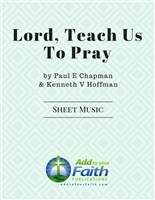 All themes and subjects are in accord with Bible doctrine and principles. *Pages are missing from the images of multiple sheet songs. All pages of the song will download after payment. This is a strong chorus that carries the message of Romans 1:16 and reminds us to be bold for God. This thought-provoking song about the resurrection of our Lord Jesus Christ described in Matthew 28:6 reminds the listener of God's power and glory. Inspired by the burden of the SAVE NEW ENGLAND ministry, this song reminds the listener of our Christian heritage and the need to reach New England with the Gospel. This song reminds us that Jesus is coming again to deliver us from our burdens and take us to Heaven. This song encourages the listener to grow in the grace and knowledge of the Lord through reading and studying His Word. 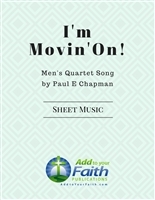 This lively men's quartet song reminds others that we are going to Heaven and looking for the Lord's return. 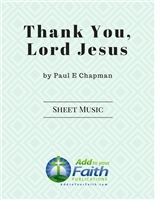 A song of gratitude for the Lord's blessings.